Over the day of October 17, in the area of the Anti-terrorist operation, the ORDLO militants violated the ceasefire 44 times, as a result of which 2 Ukrainian soldiers were killed and 4 others were injured, according to the report on the official page of the ATO headquarters on Facebook. “ATO forces returned fire 38 times using the full range of infantry weapons. As a result of the fighting, two Ukrainian soldiers were killed, four others obtained injuries of varying severity," the report says. 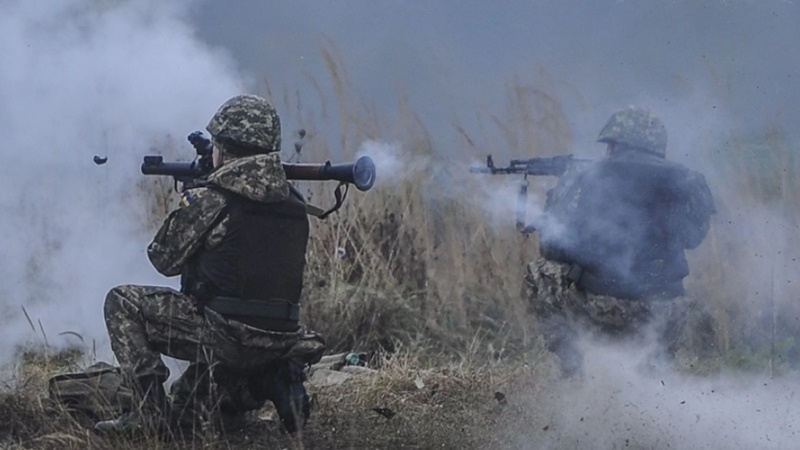 Several times the militants fired on the strongholds of the ATO forces near Avdiivka, Butovka, Novoselivka Druha, Troitske and Mayorsk with grenade launchers and heavy machine guns. Moreover, the terrorist units continue to fire at the positions of the Ukrainian army near Marinka. Earlier, as a result of the militants’ shelling in the ATO zone near Marinka, a Ukrainian military man was killed. Also, the positions of the Armed Forces of Ukraine near Vodiane, Shirokino, Talakivka, Avdiivka, and Zaitsevo fell under the fire.